Students gathered around the table with TCU’s Better Together interfaith group to join in the organization’s first night of community service. 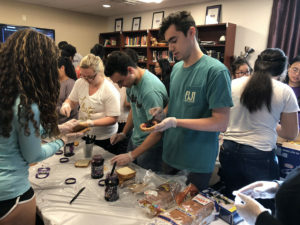 Better Together, a campus organization designed to invite students of all spiritual and religious backgrounds, worked with students from different campus organizations to make sandwiches for the Presbyterian Night Shelter in Fort Worth. Annelise Severtson, a junior student and member of TCU Better Together, said her passion for interfaith sparked her interest in bringing the organization to campus. 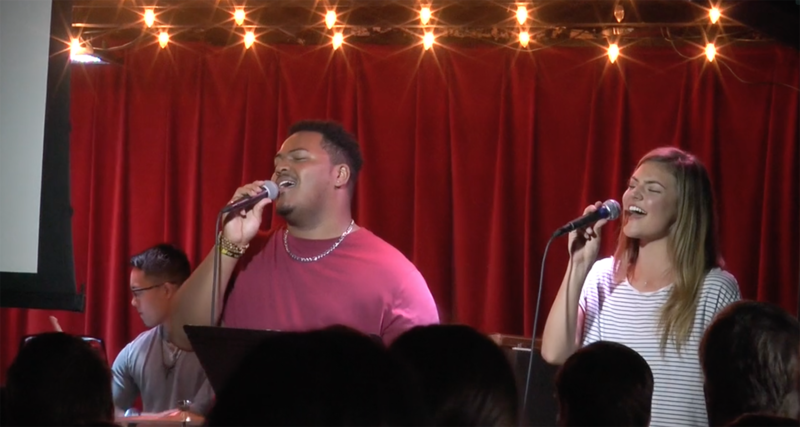 Although the group’s community service nights are just one way for students to get involved, Servertson said it is a good way for students to see their actions have an impact. Students are making peanut butter and jelly sandwiches to give to a local homeless shelter. One junior and member of Leaders for Life, Alex Candelas, said she came to help out because it was a way for her to do something in return for the supportive local community. 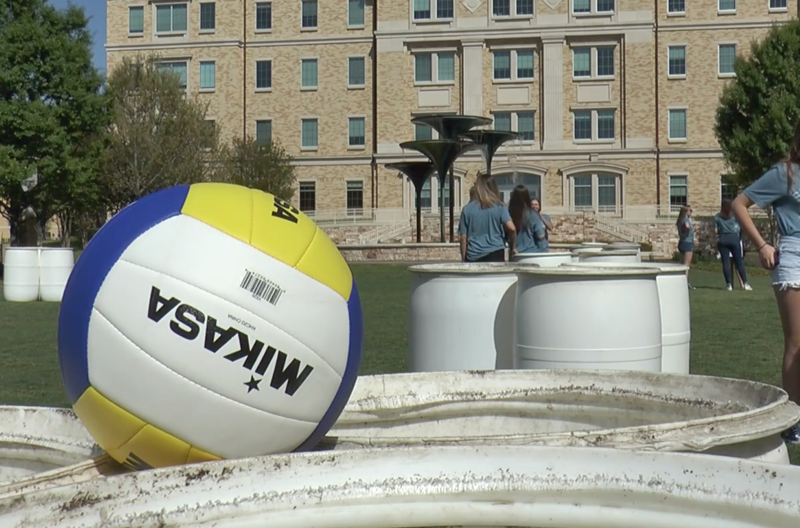 “The community really supports TCU so I think it is just a really good way to give back,” Candelas said. Britt Luby, the staff adviser for TCU Better Together, said that although the university has had an interfaith group for many years, the group has really taken off as of this year. Better Together has increased its campus involvement through local religious site tours, as well as the organization’s newly implemented Know Your Neighbor nights meant to unite different campus groups. Luby said the interfaith group attracts students of all different backgrounds, whether it is racially or religiously, who all work for the common goal of helping those in need. 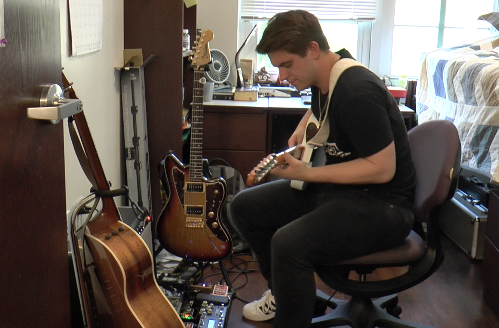 “There’s something about being in a group of people who know kind of what it feels like to be in emergence,” Luby said. Severtson said she wants Better Together to continue opening up student’s perceptions to have a more diverse approach because many students are unfamiliar with the idea of interfaith. Through events like Better Together’s Know Your Neighbor Nights, Luby said the organization is trying to reach out to other students on campus to raise awareness about interfaith and to build a stronger community.